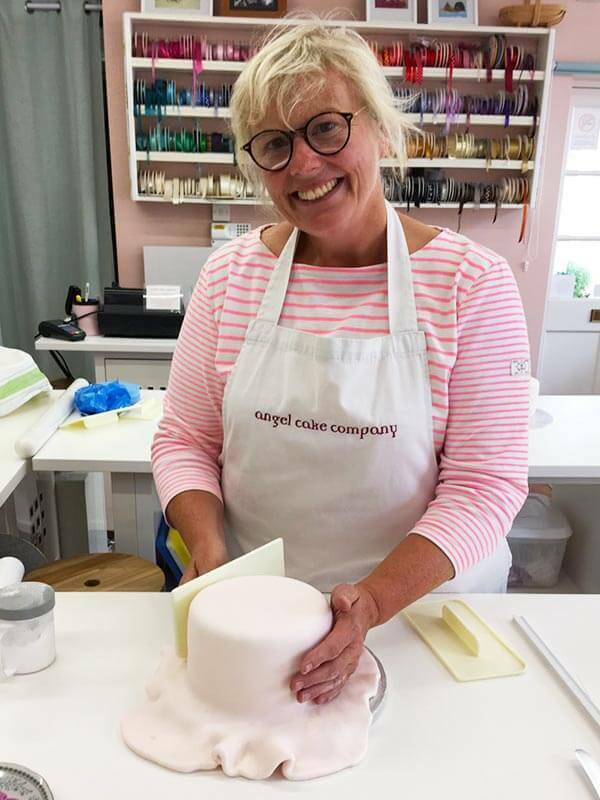 Come and cover and decorate a Christmas cake at the Angel Cake Company Studio in Poundbury - Whether you're a beginer or experienced you'll learn to cover and decorate a Christmas fruit cake with fondant and gingerbread decorations. Enjoy some bubbles and a light lunch. 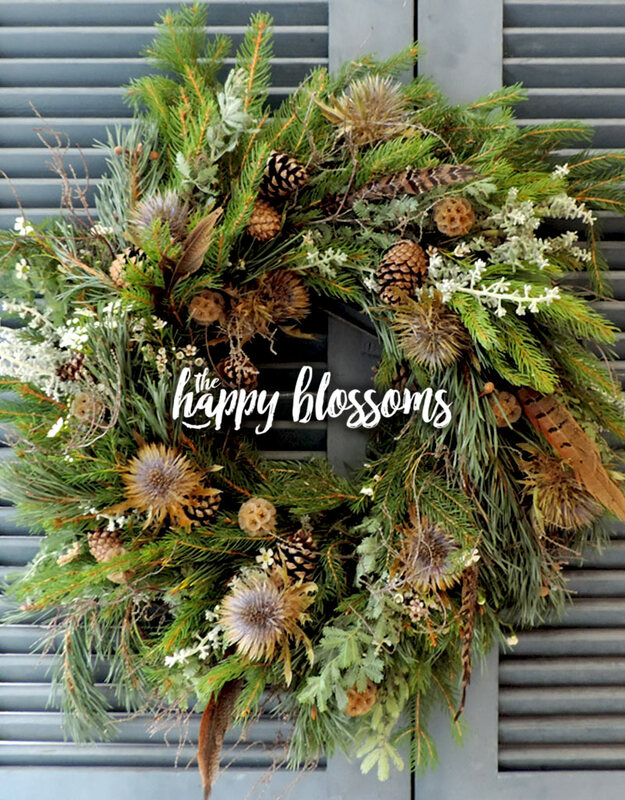 Go next door to The Happy Blossoms florists and create your own festive masterpiece to adorn your door for Christmas. 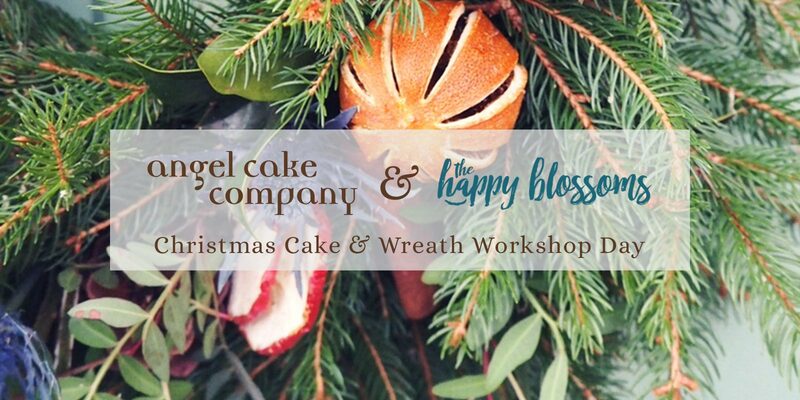 Over the two hour course, you will learn how to produce a traditionally mossed luxury Christmas wreath filled with your choice of eucalyptus, dried fruits, pine, feathers, berried ivy and finished off with your choice of gorgeous ribbon! EQUIPMENT: We will provide everything you need. Just turn up, learn the skills and take home your Wreath and Christmas Cake. To book your ticket, please CONTACT US as soon as possible to avoid disappointment, as spaces are limited. 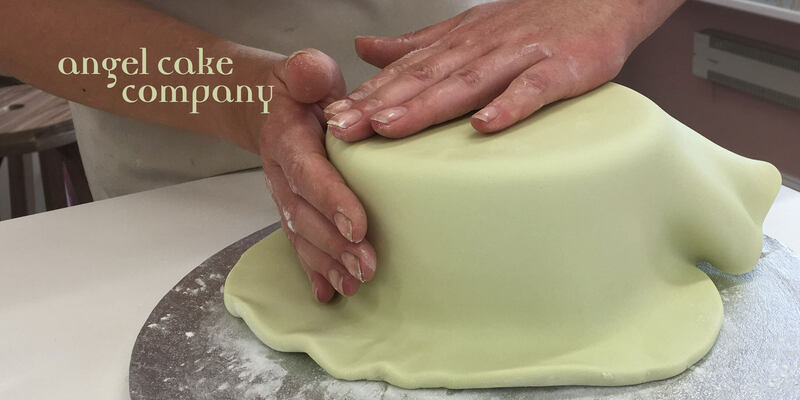 DESCRIPTION: Come and learn the basics about how to cover a cake. 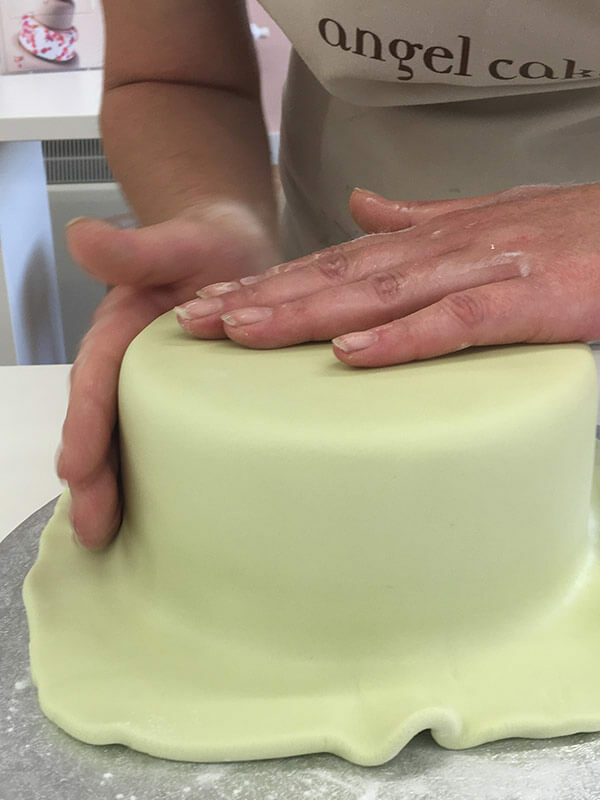 Whether you're a complete beginner or an experienced cake maker just wanting to brush up your skills, you'll learn to cover, crumb coat, and gain a professional looking finish to all your cakes. EQUIPMENT NEEDED: We will provide everything you need; the cake, buttercream, board, box and icing. 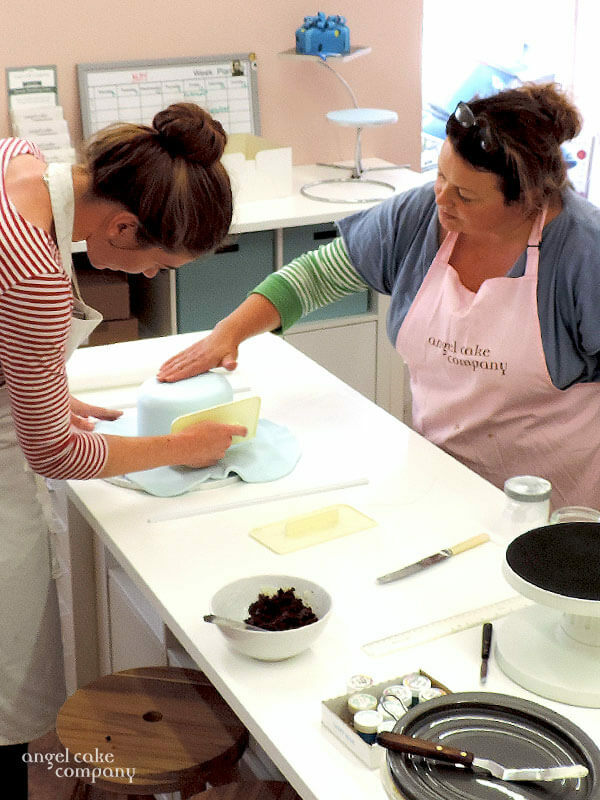 Just turn up, learn the skills and take home your own cake. SKILL LEVEL: No previous skills needed. 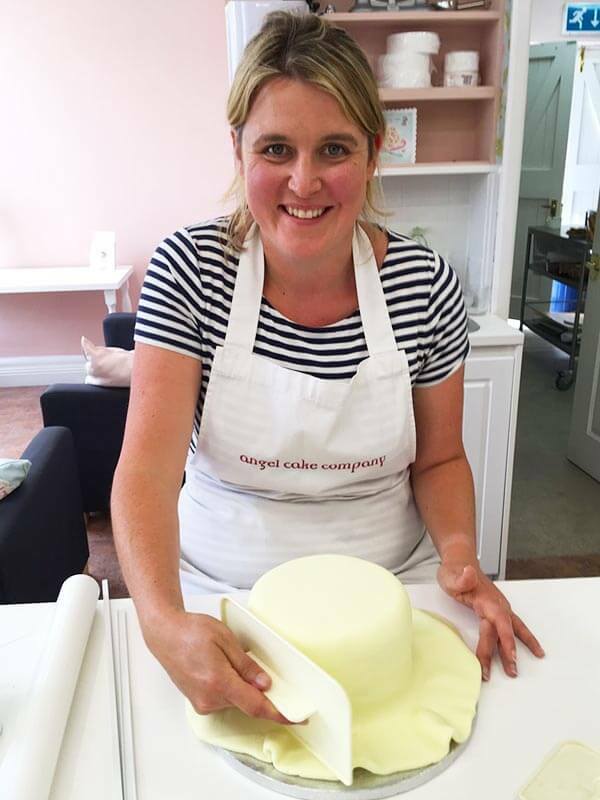 Popular sugarcraft classes and workshops. 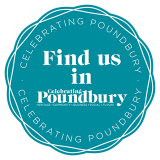 Workshops will not only be held by us - we are also getting other experts in to teach exciting things such as chocolate skills & techniques, how to make macarons and other skills from the Sugarcraft Guild. Make sure you are among the first to know join our mailing list at the bottom of the page. We may also be able to hire out our studio to you if you need teaching space. Please contact us for further details and availability. Our studio has space for about six students and a tutor to work comfortably and this small size also ensures that everyone gets the attention and training they need. One-to-ones are available, please Contact Us for more information and availability. We can cater for your individual group needs too, so please Contact Us for pricing and information. Thank you for showing me how all the sugary things in your shop work & how everything can be better with glitter! 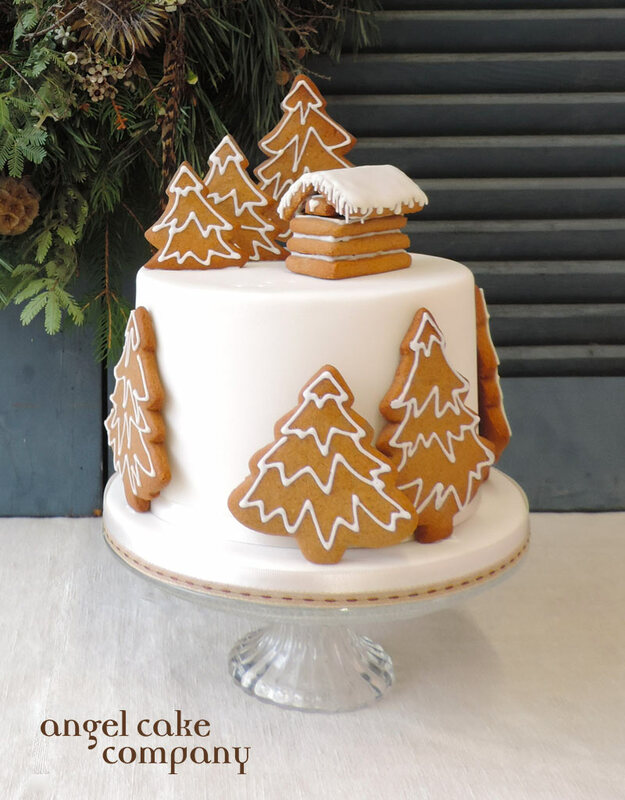 I've enjoyed making all the small icing characters you've taught me to make. Thank you. Thank you very much for the lovely workshop that you did for my birthday, my friends and I really enjoyed it. You are really good at cake decorating! It was really interesting to see what my mum and I were doing wrong and how to do it properly!!! I'm sure I will be in the shop lots of times in the future, stocking up my toolbox and trying to apply for a job!